Wondering how to dress your Summer best? We have 10 quick and easy pointers to keep you looking good all season. We don’t believe in too much of a good thing. Just because your swim trunks are meant for the beach doesn’t mean you can’t wear them away from it. 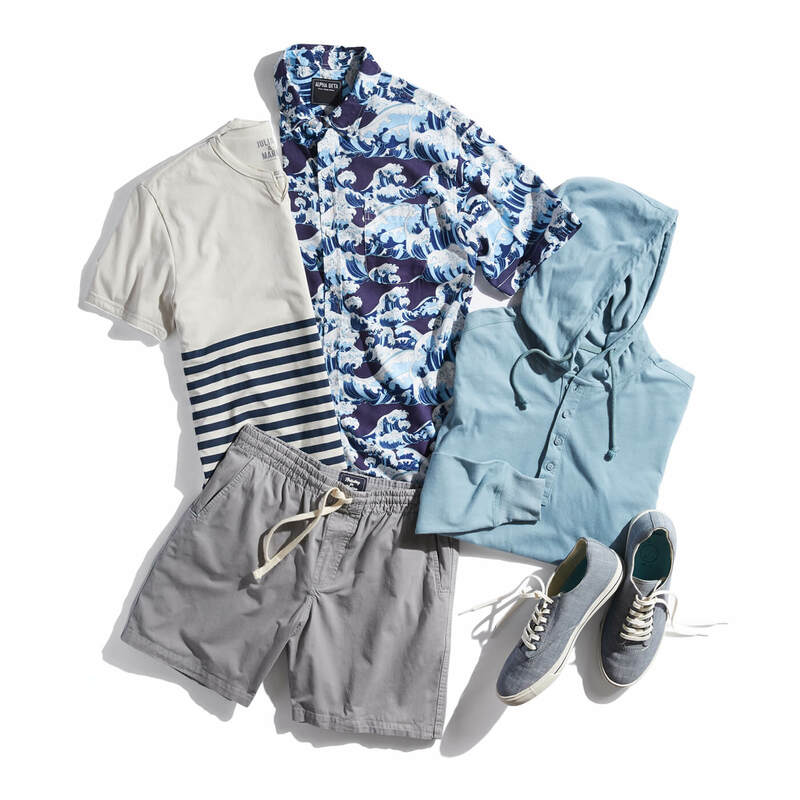 Brush off the sand and take them out on the town—wear them like any other pair of shorts. Shorts aren’t just for the UPS guy. They come in a plethora of styles, cuts and colors. We know this can be a little confusing when looking for the pair that’s right for you. However, you’re in luck because we just so happen to have a helpful guide. You’re welcome. What do you do when you need to look nice, but not too nice? Enter the short-sleeve shirt. It’s the best of both worlds. You have all the structure of a shirt with a little more comfort. It’s the difference between casual and laid-back. All traditional rules of fit still apply. Summer is hot—sweat is not. 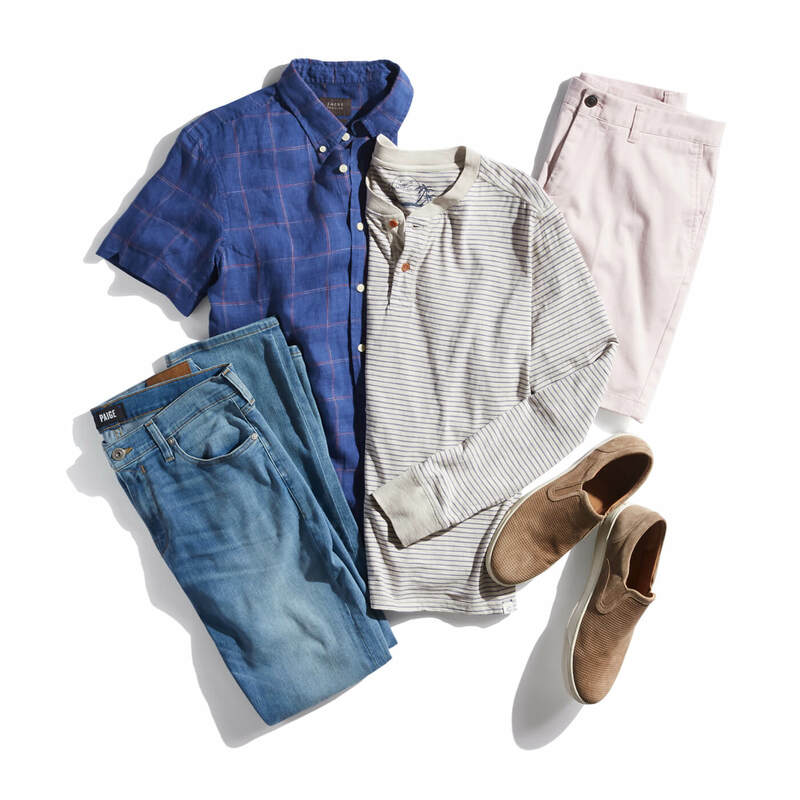 There’s nothing wrong with sticking to the classics even in the warmer months, but you need to shelf the warmer fabrics and bring out the breathable ones. We’re talking cottons, linens, performance wear, etc. No one likes a pit stain. T-shirts are probably one of the underappreciated heros of your wardrobe. They come in crewnecks, v-necks, henleys, solids and prints. They can do almost anything and best of all, they go hand-in-hand with Summer. So go on and get your tee (shirt) on. With temperatures rising, you’ll want to start embracing colors that reflect some of those sunny rays. Incorporating whites, pastels and other light colors will help keep you cool, and let’s be honest, they add a nice pop to any outfit. A polo (like a short-sleeve shirt) is an easy way to dress up an otherwise casual look. 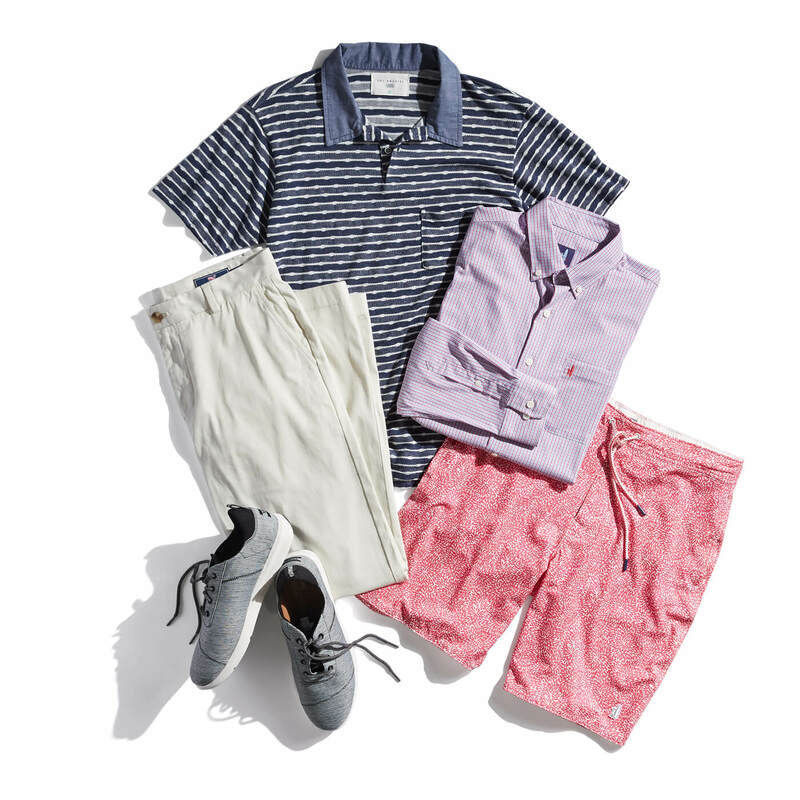 They can also be worn full “country club,” and that’s why we love them. Their versatility means you can style them any way you want. Except with a tie. Remember how we talked about breathable fabrics? It applies to shoes, too. A pair of leather sneakers or dress shoes will turn into an oven in the heat. Opt for a lightweight option made from canvas or another breathable material. Your feet (and friends) will thank you. Suns out, guns out, right? Kidding, but if you wear a turtleneck in the sun, you’re going to stick out. Tank tops are completely acceptable in the right context. Maybe not at your friend’s Summer wedding, but eating al fresco at your favorite brunch spot—why not? 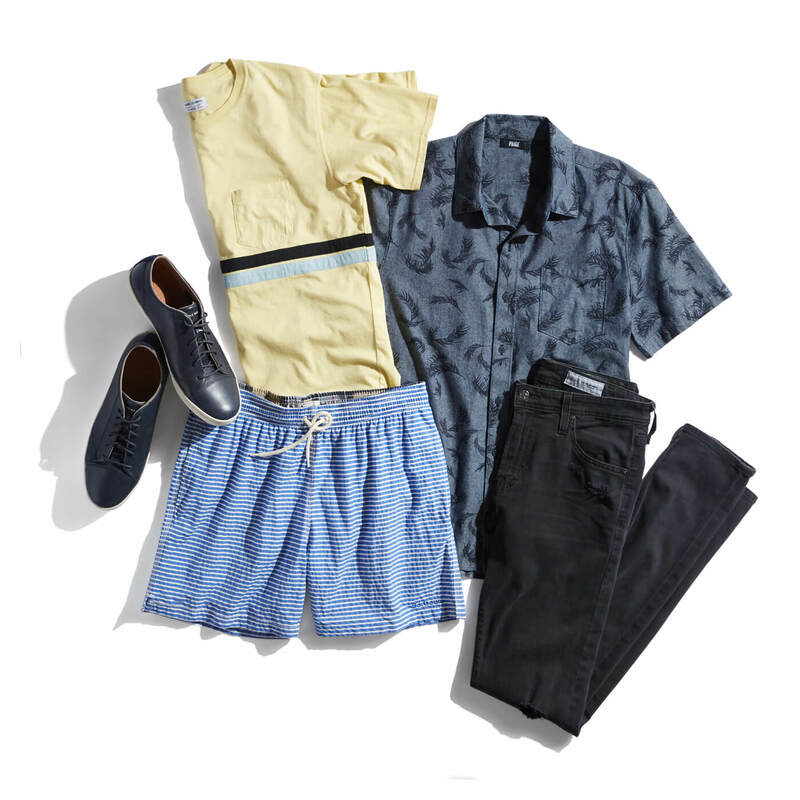 Summer style is notoriously casual (in a good way), but sometimes you need to dress up your look. The easiest way to do that is with a fitted blazer in a breathable fabric like linen. It instantly elevates any look to create something that can go from day to night. Every guy needs one. Schedule a Fix today to refresh your Summer style!